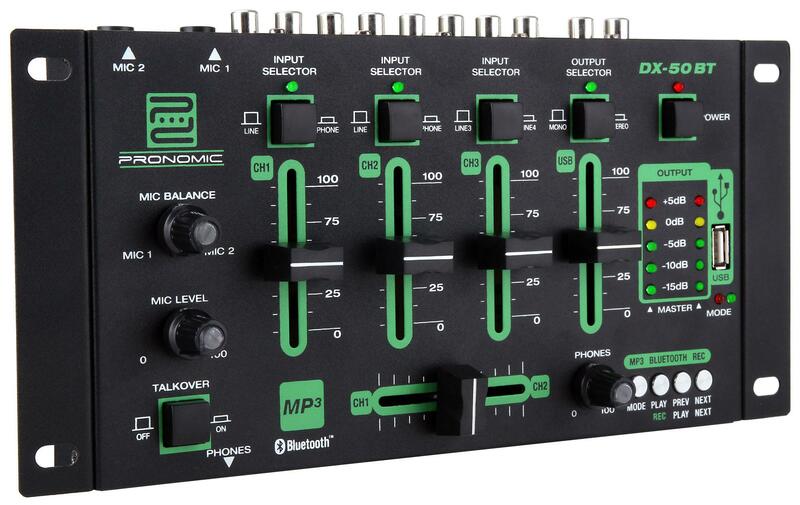 Compact DJ mixer with extensive functionality! The DX-50 offers four line channels, two of which can be switched on to Phono channels. For the latter, there also is a grounding terminal. All channels have volume control; channels 1 and 2 can also be faded by the crossfader. The 3rd channel unit is for controlling channels 3 and 4 (switchable). 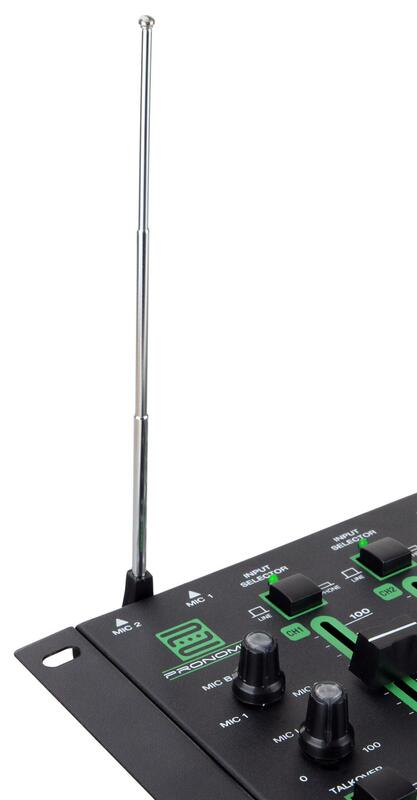 For announcements, there are two microphone inputs with balance and level control and talk over function. Simply connect a USB drive and play MP3 files with the built-in MP3 player. 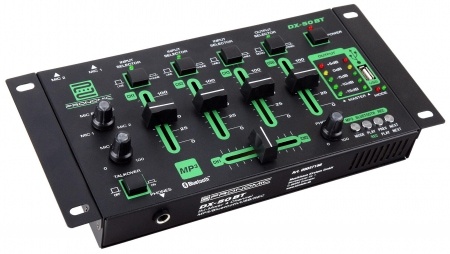 The DX-26 has a USB port to make it easy! Connecting a computer via the USB port is not possible. 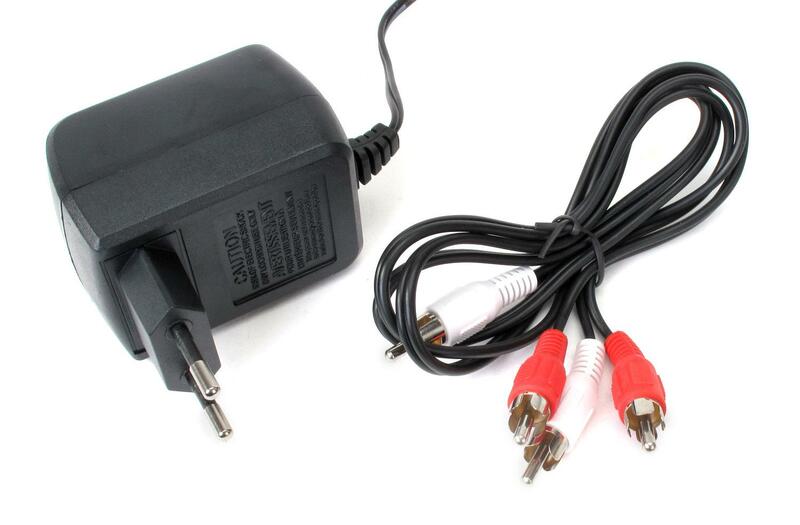 To mix from the computer, connect your PC's audio output to an RCA input. The DX-50 also has a USB recording function, making it possible to record a mixed set directly onto a USB drive. This function is also wonderful for recording song ideas in rehearsal rooms and studios. 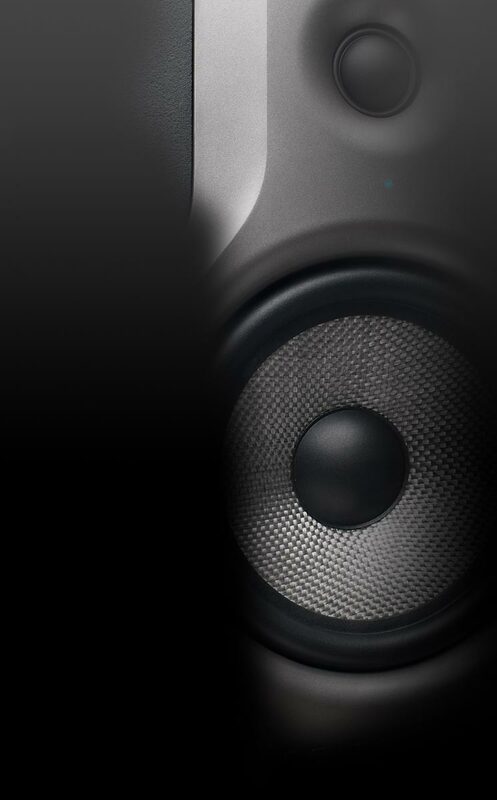 Another highlight of the mixer is the integrated Bluetooth® interface, making it easy to import music from your smartphone, tablet or other Bluetooth compatible device. Blue backlit LED rotary controls ensure that you won't lose your place at the toughest DJ battle, even under low lighting conditions. Kann es nur weiter Empfehlen ,bin damit sehr zufrieden Einfach Super...Super Ihre Geräte finde Ich sehr Gut. Sehr schneller Versand nach Zahlungseingang und gute Ware. Einziger Minuspunkt ist das die Produkteschachtel mit Klebeband derb zugeklebt wurde und die Schachtel nicht mehr schön ist. Das bestellte Teil kam innerhalb kürzester Zeit gut verpackt bei uns an. Das Preis-\Leistungsverhältnis ist hervortragend. Ich werde bestimmt wieder eine Bestellung aufgeben. Für mich als Einsteiger ideal. Kein Schnick Schnack dran. Super leichte und verständliche Bedienung. Für den Preis topp. Preis-Leistungsverhältnis sehr gut und allzeit bereit für die kleine Party zwischendurch.